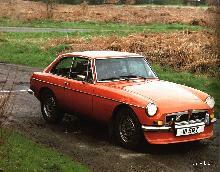 In 1973 British Leyland launched one of its most ambitious cars the MGB GT V8. This new MGB variant offered true "Q" car characteristics, a combination of understated looks and amazing performance. At the heart of the MGB GT V8 was the trusty, Buick designed Rover V8 as used in the then current Rover P6 range. The 3528cc V8 produced plenty of torque and bhp in order to power the new car up to a heady 125mph. The V8 MGB only ever came in fixed head GT form, although some roadsters have been converted over the years (originally by Costello). 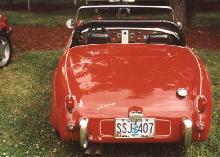 The car could be distinguished from the 4 cylinder MGB by the front and rear "V8" badges and unique road wheels. Unfortunately for BL the mid 1970's fuel crisis hampered sales and the model was therefore underdeveloped and was eventually dropped from the range in 1976. A reincarnation of the original MGB V8 concept appeared in the early 1990's, badged as the MGRV8 but powered with a fuel injected version of the same basic V8 engine. 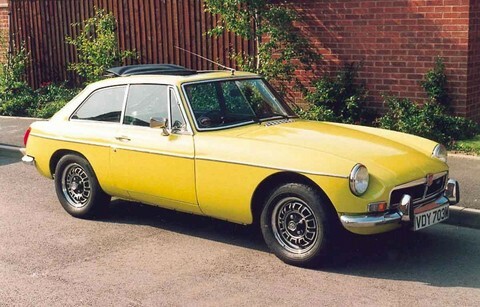 MG began offering the MGB GT V8 in 1973 utilizing the ubiquitous GM-developed POB aluminium 215 cu (3528 cc) Rover V8 engine, first fitted to the Rover P5B. These cars were similar to those already being produced by tuner Ken Costello. 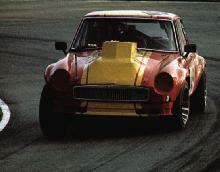 MG even contracted Costello to build the prototype MGB GT V8's. However, the powerful 180 bhp engine used by Costello for his conversions was replaced for production by MG with a modestly tuned version producing 137 bhp (102 kW). But 193 ft·lbf of torque helped it hit 60 mph in around 8 seconds, and go on to a respectable 125 mph top speed. The car was relatively expensive compared to its rivals at the time and production was low. 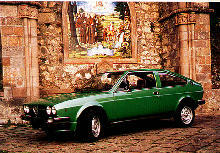 Only GT versions were produced by the factory with production ending in 1976. The MGB GT V8 was not officially exported to the United States making the cars even more rare in the U.S. than in the U.K.